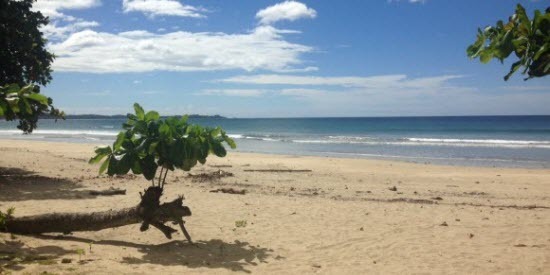 Playa Grande is a beach town on the Pacific coast of Costa Rica just north of Tamarindo. 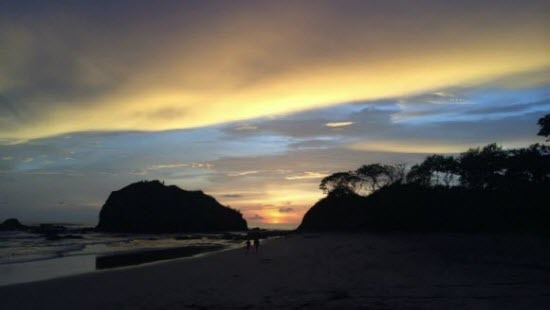 Playa Grande is internationally popular as one of Costa Rica’s best surfing spots as well as being home to Parque Nacional Marino Las Baulas, a nesting ground of the largest marine reptile, the leatherback turtle. It´s a famous wave in North Pacific, with perfectly warm waters throughout the year, and the offshore wind from December up to early May. Because the beach is very open to the ocean, It's always good for surfing, because it can pick up many different swell directions and offers you many different sized waves depending on your skill level. This beautiful beach has long attracted surfers from across the globe. One reason being that it is much less crowded than neighboring Tamarindo. 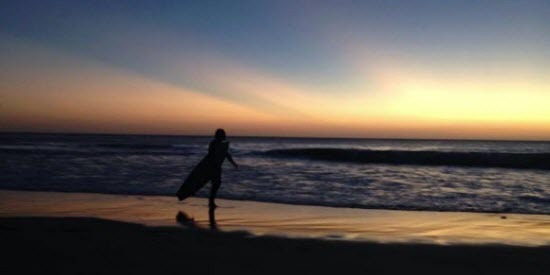 Trust us, there´s no place like Playa Grande to catch the perfect wave! Playa Grande offers you many types of incredible restaurants, spa, coffee shops, hotels, apartments and rental properties. So don't look any further! Book your surf lesson, rent a board, buy wax or sunscreen with us. You won't be disappointed with our friendly employees and quality equipment. Some other activities you can do in Playa Grande: Mangrove of River Matapalo tour by boat or Kayak, Biking Experince, Magic Tree Hiking tour, birdwatching, turtle tours and much more. Rental Houses.Playa Grande offer more than 60 houses and condos for rent, let us know what are you looking for, and we will suggest you some of the best options. Rental Estates.If you need some advises or suggestion about the properties for sale in Playa Grande, just let us know we can arrange a meeting so you can check all your options. El Huerto Pizzeria > definitely the best pizza place in town. Great location and amazing staff. Favorite pizza: El Huerto. Café del Pueblo > beautiful Italian restaurant. Kikes Place > Costa Rican typical food. Favorite plate: rice with shimp. Las tortugas restaurant > amazing view to the best surfing spot in Playa Grande. Favorite plate: casado. Sugar Monkey > this restaurant offer a variety of food and pizza. Great place. Favorite plate: great Salad. Café Mar Azul > the best option in Palm Beach estates. Really close to the main parking lot, offers you delicious breakfast and lunch. Taco Star > the only restaurant in front of the beach. Amazing staff. Favorite plate: vegetarian Burrito and banana bread. Bula Bula Hotel WALTINI > next to the estuary in Playa Grande this restaurant offers a variety of dishes. Also Mexican buffet on Mondays. Favorite Plate: Mix nachos. Fish and Chips > Outside Playa Grande Town this little restaurant offer you some options of fish. Beautiful owners. Favorite plate: Fish and Chips. 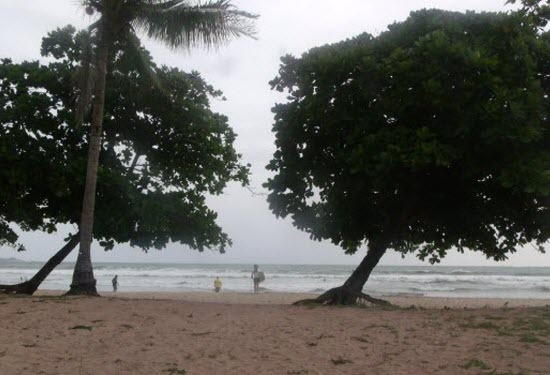 Surf is a most if you are planning to come to Playa Grande. If you already have experience, rent a board with us, we can tell you the best spot to go depends your level. If you never surf before, take one surf lesson with us. Bike around. 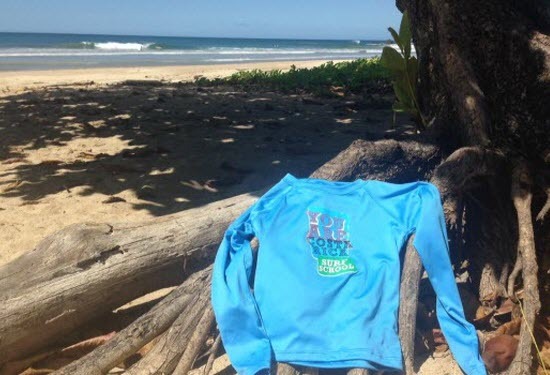 Playa Grande has some options for trails to visit the entire town by yourself. Also you can rent a beach cruiser with us to ride your bike on the beach and visit Tamarindo by bike. Snorkeling. You can do some snorkeling depends of the tide in a black sand rocky beach name Carbon. Estuary tours. Visit the biggest estuary in Latino America to find howler monkeys, crocodiles and more. Hike. You can hike and go to Ventanas Beach or Carbon. Also you can climb a big rock on the north part of Playa Grande to take amazing pictures on it. Turtle tour. Playa Grande is part of the Leather back turtle tour. Come to see the turtles from October to February. Enjoy the best Vacation Time in Playa Grande.